3-minute segment broadcast in the show "Latin Eyes" on April 29, 2001 on American TV KRON-NBC. 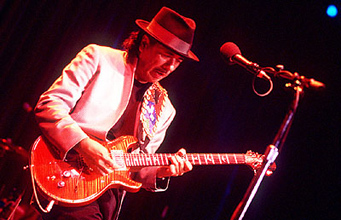 Only Santana show in 2001. 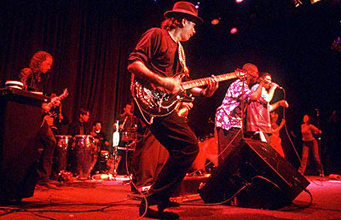 Before the show, Carlos Santana, Billy Johnson, Benny Rietveld, Chester Thompson play with School Of The Arts Jazz Band (SOTA) on: Posada (Pilgrimage To Bethlehem) - Concierto De Aranjuez/Spain.